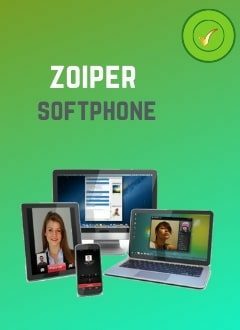 Zoiper for windows is a softphone (virtual telephone for windows) that allows you to make calls via internet with Hivoox voip services or any other voip provider. Zoiper for windows is a softphone (virtual telephone for windows) that allows you to make calls via internet with Hivoox voip services or any other voip provider. You must install this version of the zoiper in your windows computer in order to start using your sip line. With Zoiper for windows, you can fax, check the availability of your friends, chat and make voice and video calls. Free encryption for all your text, voice and video communications with TLS / SRTP et ZRTP. Operate on a multitude of different platforms. No matter if you use Mac, Linux or Windows, iPhone, Android or a browser, we have got a solution for all. With Zoiper, you can fax, check the availability of your friends, chat and make voice and video calls.